From the Twitter account of Michael Spavor. China’s foreign ministry confirmed Thursday it has detained a second Canadian, deepening the intrigue that began with the arrest in Canada of Chinese telecommunications executive Meng Wanzhou. 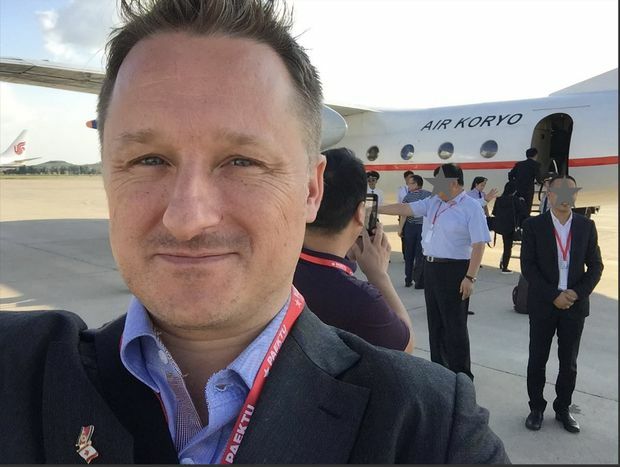 Both men, entrepreneur Michael Spavor and former Canadian diplomat Michael Kovrig, are being held on suspicion of “engaging in activities that endanger the national security" of the country, foreign ministry spokesman Lu Kang told reporters in Beijing. “The legal rights of the two Canadians are being safeguarded,” he said. This follows reports from a Chinese government news outlet that Mr. Spavor, a Canadian whose company brings tourists and hockey players into North Korea, was being investigated by Chinese authorities for harming national security. He is under investigation by state security in Dandong, the North Korean border city where he lived, the report said. Mr. Spavor disappeared Monday, taken into custody, as was Mr. Kovrig, days after Beijing warned Canada could face “serious consequences” over the arrest of Ms. Meng. 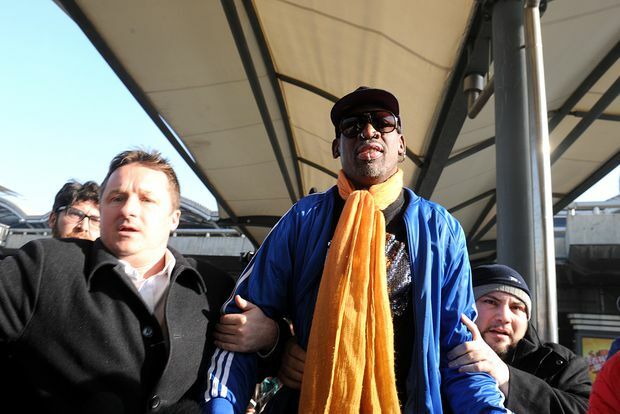 Michael Spavor, left, with former U.S. basketball player Dennis Rodman as he arrives at Beijing International Airport from North Korea on January 13, 2014. Mr. Kovrig, who now works as an analyst for International Crisis Group, was seized in Beijing Monday. Ms. Meng, chief financial officer of Huawei Technologies Co., was released on $10-million bail Tuesday after being arrested on an extradition request from the U.S.
Chinese police and state security can detain and interrogate people they consider witnesses in criminal investigations. Foreign Affairs Minister Chrystia Freeland said at a news conference on Wednesday that a Canadian whom she did not name had contacted government officials after being questioned by Chinese authorities. Late Wednesday, Global Affairs confirmed that Mr. Spavor is the missing Canadian. Mr. Spavor and Mr. Kovrig know each other, according to two people familiar with them. Mr. Spavor was expected to land in Seoul on a flight from China on Monday, but did not arrive, a person who knows him said. In his most recent Facebook post, at 12:12 a.m. on Dec. 10, he talked about new opportunities ahead. ”I’ll be in Seoul from Monday the 10th for a few days for new consulting work :)” he wrote. Although Mr. Spavor regularly spends time in North Korea, he is not particularly interested in the isolated regime’s politics, said Andrei Lankov, a North Korea specialist who is a professor at Kookmin University in Seoul. Mr. Spavor just ”likes North Korea. He believes that this place is misunderstood. And he sees himself as a person trying to become a bridge between North Korea and the world." Canada does not know where Mr. Kovrig – who is on special leave from Global Affairs and so does not have diplomatic immunity – is being held, federal officials told reporters in a briefing. Separately on Wednesday, Ms. Freeland criticized U.S. President Donald Trump for saying he is open to using the arrest of Ms. Meng as a bargaining chip in trade negotiations with China. “Our extradition partners should not seek to politicize the extradition process or use it for ends other than the pursuit of justice and following the rule of law,” Ms. Freeland said. Ms. Freeland said Ms. Meng’s lawyers could raise the President’s remarks in the extradition hearings, and that the Canadian judge might also consider them in deciding whether to send Ms. Meng to the United States. Ms. Meng is accused of misleading multinational banks about Huawei’s control of a company operating in Iran, putting the banks at risk of violating U.S. sanctions and incurring penalties, court documents said. Sources say the Trudeau government is weighing whether to issue a new travel warning to Canadians visiting China. Ms. Freeland told reporters Canadians are currently urged to exercise a “high degree of caution” when considering whether to visit China. She urged Canadians to check the government’s travel website for updates. Ms. Freeland said she had raised Mr. Kovrig’s arrest with China’s ambassador to Canada, Lu Shaye, and that Canada’s ambassador in Beijing, John McCallum, has spoken to the country’s foreign ministry. In an opinion piece for The Globe and Mail, Mr. Lu called the arrest of Ms. Meng “premediated political action” and a “witch hunt” against Huawei, which is one of China’s premier high-tech firms. “Those who accuse China of detaining some person in retaliation for the arrest of Ms. Meng should first reflect on the actions of the Canadian side,” he wrote. China has strongly protested against her arrest to U.S. and Canadian officials. Ms. Meng is the daughter of Huawei’s founder, Ren Zhengfei, who is closely connected to China’s ruling Communist Party. Prime Minister Justin Trudeau has acknowledged he knew in advance about the arrest of Ms. Meng, but said there was no political involvement. Justice Department officials honoured an extradition treaty with the United States, which requested her arrest, he said. In an interview with Reuters news agency on Tuesday, Mr. Trump suggested he would intervene in the U.S. Justice Department’s case against Ms. Meng if it would serve U.S. interests. Ms. Meng’s lawyers now have new arguments to use at two separate stages of the case. They can ask a judge to block the extradition as an abuse of process that violates Canada’s Charter of Rights and Freedoms. Or they can ask Justice Minister Jody Wilson-Raybould to refuse to sign a surrender order because Ms. Meng is being pursued for an offence of a political character. By law, the minister must refuse to extradite a person facing political charges – and the courts can overturn the minister’s decision if it is deemed unreasonable.